We have lost our last link to a turning point in WWII for the United States. Richard Cole, Jimmy Doolittle's co-pilot, passed away on April 9th, 2019 the last living member of the Doolittle Raiders that bombed Japan in 1942 launched from the deck of the aircraft carrier Hornet. Cole was 103. 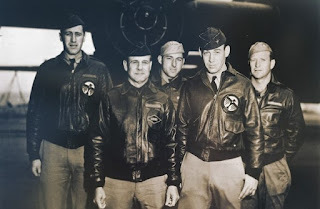 Cole flew a B-25 as late as 2013 at the last official public reunion of the Raiders. There are a whole host of emotions that come from losing the last living link to such a turning point in history, we no longer have access to someone who was actually there, the primary source as it were. Those families of the 80 men involved in the mission now only have the stories and memories that have been saved, there is no longer someone that can say "I was there". I would compare this to such heady events as the passing of John Adams and Thomas Jefferson on July 4th 1826, that last two living members of the 2nd Continental Congress that passed the resolution for Independence of the United States from England. We watched "Thirty Seconds Over Tokyo" yesterday to commemorate the occasion. B-25Bs on board the Hornet. 16 modified planes lashed to the deck. 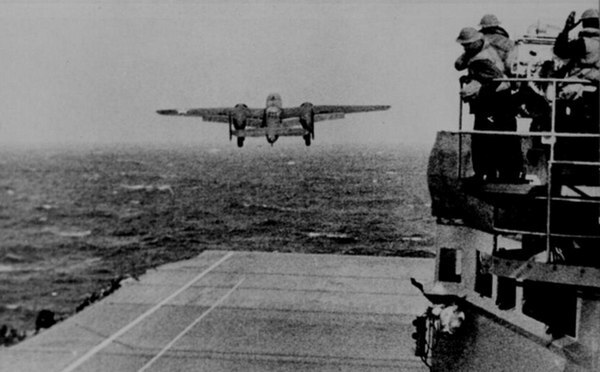 Launching early as the task force was a spotted by a Japanese fishing trawler. Replacement of their Norden bombsight with a makeshift aiming sight devised by pilot Capt. C. Ross Greening and dubbed the "Mark Twain". The materials for the bombsight cost only 20 cents.